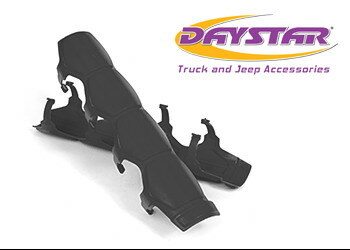 Daystars Shock and Steering Stabilizer Armor offers tough, long-lasting protection for most Shocks and Steering Stabilizers. Durable thermoplastic Polyurethane adds a custom look, while preventing pitting and dents.Universal Shock and Steering Stabilizer Armor. Universal Shock and Steering Stabilizer Protects shock body chip chips and debris.